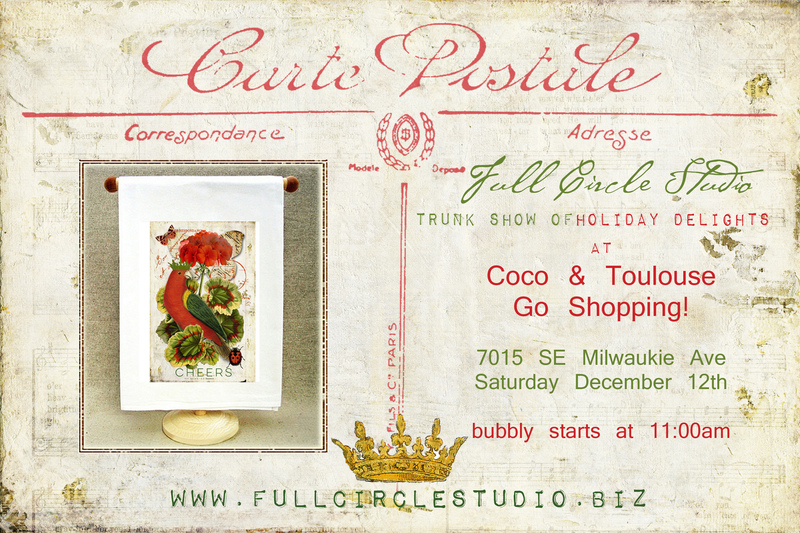 Full Circle Studio Holiday Trunk Show…. 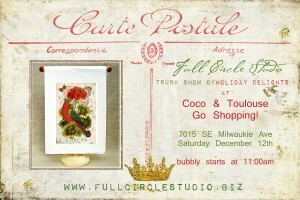 Join us for a fabulous afternoon of designer crafts and champagne at the always fabulous, Coco & Toulouse Go Shopping! Posted in Full Circle Studio | Comments Off on Full Circle Studio Holiday Trunk Show…. You are currently browsing the Full Circle Studio blog archives for December, 2015.